Figs are food for the gods. Fresh figs have a preciously short season (typically from August-October), so now is the time to indulge. Though the vast majority of figs are produced here in California because of its Mediterranean climate, they can be found in most supermarkets across the country. This is a good thing since fresh figs are di rigeur, appearing in everything from sweet jams and tarts to savory salads and chutneys. And let's not forget the touch of grace they add to crostini, pasta and pizza. These captivating tear-drop shaped fruit are singular in appearance, flavor, and texture. First they lure you in with their sweet perfume. Then they tempt you with delicate skin that is lush with ripeness, revealing droplets of golden honeyed nectar. One bite reveals an irresistibly attractive pink flesh that is second only to its swoon-worthy soft, cool, creamy flesh. Fresh figs are not at all like dried figs (which I also love), so there are few things to know about them. Look for richly colored, plump, unblemished fruits with the stems intact. The skins of figs often have a powdery finish, which is normal. They should be tender to the touch, but not squishy. Fully ripe figs often ooze a clear, syrupy substance clear which is a good indicator of its sweetness. If you're not too embarrassed, then take a good whiff. Ripe fresh figs usually emit a delicately sweet fragrance. Since figs do not ripen once they're picked, it’s best to eat them as soon as possible. Otherwise, place unwashed figs in an air-tight container and cover with a piece of paper towel; they should last 1-2 days. Bring figs to room temperature prior to eating, which will enhance their flavor. Wash them gently, remove the stem, and enjoy. Some fig purists wouldn't dream of adulterating fresh figs with any condiments and will only eat them out of hand. However, like vine-ripened, succulent strawberries, their sweetness is magnified when balanced by salty, bitter, or sour flavors. That's why figs get along so beautifully with salty cured meats like prosciutto, bitter greens like arugula, and sour flavors like vinegar. I needn't tell you that they are divine in desserts ranging from delicate pastries to homey crisps. 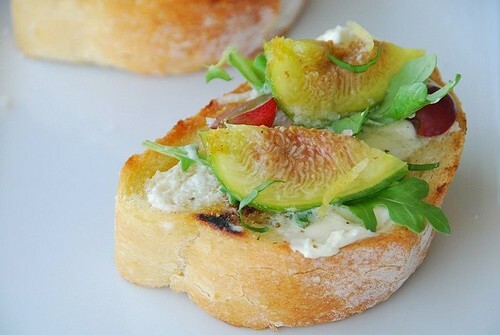 This Fig and Mascarpone Bruschetta is a simple yet stylish appetizer. You really don't need a recipe for it. Just follow my basic outline, and feel free to improv. Don't skip the lemon though; it has an amazing ability to counterbalance the fig's sweetness. For a variation, try fresh ricotta cheese instead of mascarpone or add some prosciutto slices. So, tell me, how do you like to eat fresh figs? Select a hard, crusty bread of your choice, such as ciabatta. Make thick slices, and brush with extra virgin olive oil. Broil or toast until golden and crisp. Quarter the fresh figs. In a medium skillet over medium heat, warm 1 teaspoon of olive oil per 1 quartered fig. Saute for 2 minutes, or until lightly browned and caramelized. Spread about 2 teaspoonfuls of mascarpone cheese on each toasted bread slice. Top each slice with some fresh arugula, 2 fig quarters, a splash of aged balsamic vinegar, a splash of lemon juice, some kosher salt crystals and freshly ground black pepper, and several thin slices of fresh basil. Garnish with lemon zest curls if desired, and serve immediately. My friend Chris over at Melecotte has been basking in figgy goodness lately. Be sure to check out her Upside Down Fresh Fig Cake, Figgy Fig Chicken Pockets and more fig recipes. I've never had figs before. In these parts, figs refer to green bananas and another variety to ripe banana. 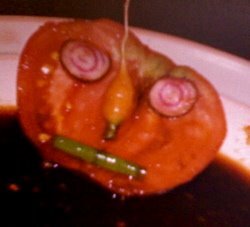 Great appetizer idea Susan! I love to bake mine with a soft cheese very quickly and drizzle them with balsamic. I like figs right out of the container while standing in line at the market, carmelised on a thin-crust pizza with fennel and shaved parmesan, dried and chopped into panforte...I could go on. Your recipe looks delicious! This looks amazing! 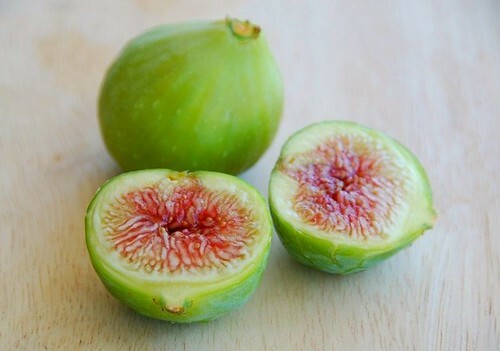 I am not a huge fan of fresh figs, but I bet I would like this. What a wonderful appetizer. This would be a great starter to an elegant meal. Fresh figs are such a treat! I'd love to live in a part of the country where I could find them at my local farmers' market. Figs are delicious! But, to me, it's one of those fruits that you don't mess too much with them. I like to eat them straight from the box. Your bruschetta looks nice though. I noticed you used green figs. I never had those, in Brazil they tend to be tart. Fresh figs are wonderful. I like them grilled and then splashed with a little balsamic vinegar. I love figs. I recently picked up some beauties at the farmers' market. The fruits of my labor: a caramelized fennel, fig, and prosciutto tart (http://haleysuzanne.wordpress.com/2008/08/09/saturday-luncheon-caramelized-fennel-fig-and-prosciutto-tart/) and roasted fig parfaits (http://haleysuzanne.wordpress.com/2008/08/09/saturday-luncheon-caramelized-fennel-fig-and-prosciutto-tart/). Of course, a great quantity were also eaten out of hand! It's hard to improve on such a wonderful fruit! Really beautiful! That bruschetta looks amazingly good! Beautiful and informative post, Susan. I enjoy your how-to tips. Fig preserves has been my favorite since I was a very young child. But not just anybody's fig preserves, and never store bought. Arriving at my grandparents, I would head straight for the pantry and my grandmother never disappointed. On the little shelf filled with jars of strawberry, pear and plum there would always be a few small jars (we were not pint jar people--unless the jars held pickles or homemade catsup) of fig--sometimes one would have my name on it. My grandmother made it with a hint of ginger. She did not work from a written recipe and by the time I was ready to try it on my own, she was no longer with us. Through a bit of trial and error I've managed a close approximation. If not made into preserves, figs are wonderful wrapped in thinly sliced country ham with a smidge of soft cheese--either mild or strong. I have a spot in my yard picked out for a fig bush. I just need to get the overgrown holly and dead azalea removed. I cannot wait. This is very clever and innovative. I love what you have done here. 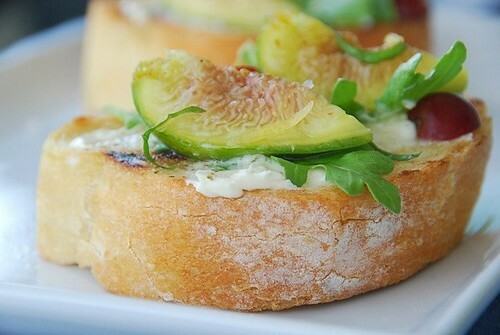 Bruschetta with Figs, what an elegant and sophisticated combination. what gorgeous pics of my fav fruit!!! i love figs too. i eat them fresh just plain while they are in season, and sometimes make a turkish garbanzo bean salad with dried figs. I have a FIG FETISH! I make crostini w/ fresh figs from my tree, by using fresh ricotta cheese, a basil leaf, a slice of fig and a drizzle of fig balsamic vinegar!!! SO YUMMY! I also eat figs in my yogurt every a.m. in the summer, while we can get them here in NJ. Tonight, I am trying your Indian cherry chutney on pork roast....I will keep you posted! We have two fig trees in our yard and they're finally starting to produce good quantities of figs this year. I do like just eating them as is, but my other favorite is cutting an opening and stuffing in some goat cheese. Then I bake them for 5 minutes at 350 degrees. Drizzle honey over them and serve with some homemade frozen yogurt. Delicious! Susan, I love them with yogurt and some honey drizzled on top, yum! This bruschetta could easily become a favorite of mine, too. I guess I'm not a purist, cause I'm all into adulterting figs, especially the way you did it here! Yummm!!! Love the fig tutorial! I've never eaten a non-dried fig before (*gasp* - I know, I live under a rock). But I will have after tomorrow when I try this for lunch! I love figs, too. I like to brush them with honey and then roast them. Then you can combine them with salty prosciutto and ricotta in a salad or on crostini. Yum. How decadent is that? Figs on toasted bread! I love it! So beautiful! I *adore* fresh figs - the frst one was a revelation after only knowing dried figs for most of my childhood. I like them sliced open, drizzled with balsamic vinegar and roasted, served with toasted pine nuts and a blob of vanilla ice cream. Yum! I did a post on figs a couple of posts ago... got some great ones at Chino Farms. I hadn't had figs since I was little and I absolutely fell in love with them! I'm going to have to do a little more experimenting before their season ends. Beautiful! I love figs. your pictures are making me drool! I stuffed some with goat cheese and threaded them onto rosemary skewers and poped them on the grill for a couple of minutes. very tasty! I love figs front ways, side ways, back ways, all ways. Adorned or unadorned, dry, frozen in ice-cream, slow-cooked in jam, baked in tart or cakes, as-is with blue cheese or goat cheese, broiled with a little honey, directly off the tree or at the dinner table - even in fig Newton! I had planted 3 fig trees at my old house, and how I miss them! I really like Fig Newtons, so I thought I'd like fresh figs. Uh uh. No way. They were just gross. I was really disappointed. OTOH, your photos make them look beautiful. I'm embarrassed to admit that I've never had a fresh fig, only dried. I love them dried and I'm sure I'd love them fresh. This looks amazing! I love fresh figs in desserts (tarts, cakes, etc.) but when I can find them I will be making this. those figs are so bright and green!! the violet figs are the one abundant in our region!! i love this bruschetta!! great flavours and colors or summer! This looks fantastic! I absolutely love figs and all of the recipes that highlight them--they really are a versatile fruit that seem to take so many dishes to new heights. I'm quite bad about cooking with them--I usually wind up eating them all before I ever get around to using them in a dish. Nothing can compare to the flavor of a fresh fig. My grandfather had 6 fig trees in his vegetable garden and we ate them straight off the tree. I have 2 figs trees and still eat them to this day the same way. I do nothing with figs but eat them as soon as I pick them! This recipe looks like it breaks all the rules...so I'm all for it - lol. I'm crazy about figs, and yours look so tempting on that wonderful bruschetta! I love fresh figs in a fresh lettuce salad, with red onion, cranberries and a yummy vinaigrette over all this goodness. I grew up in Claremont, CA and we had a fig tree in our backyard. It had three production seasons a year! The early birds came out in June, and then again in late July. I didn't appreciate them as a kid, when I would climb the tree for fun and ignore the fruit. Now, I can't get enough. There are a few local street fig trees in Portland, but they aren't ripe yet. I can't wait! BTW, I heard you on NPR, which was such a treat! I love figs!! I even eat the dried ones hehehe Love it with mascarpone and vanilla. Scrumptious!! did you know i've never had fresh figs before? this looks great, though! cynthia-Figs refer to bananas? I never knew that. vb-Oh, I love them on pizza too. You're making me hungry. dragon-And it's easy to prepare. lydia-I made a pasta last week with figs and ricotta that my mom and dad loved! rita-No, these are really sweet, even more so that the black Mission variety. haleysuzanne-I made a fennel and fig pizza last year, so I'll have to check out your recipe. Yum! val-Oh, I can't wait to hear what you think! lynn- Oh, good, I'm glad. 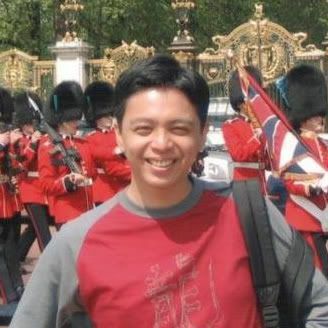 agathax-What a lovely memory that is; thank you so much for sharing it with me. And how exciting that you're planting your own fig bush. Now you'll be able to create your own beautiful memories. bee-I knew you had good taste. stacey-Oh, that sounds heavenly. How exciting! Thanks. kimu-Ooh, savory and sweet. Sensational! patricia-Honey is my favorite on them. culinarywannabe-Yay! I hope you like them! jeanne-They are remarkable, aren't they? lori-And it's such a short season too. sylvie-Mmm... fig ice cream must be divine. halfbaked-Oh, I love the idea of skewers! 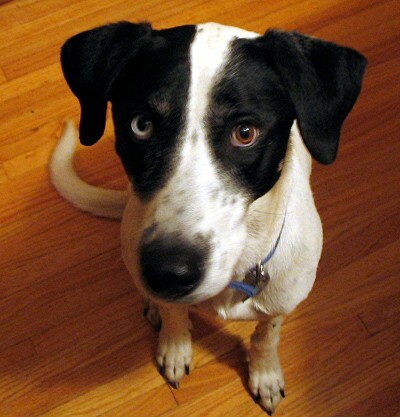 annie-I love dried figs too, but fresh one are completely different in texture and flavor. dhanggit-We have both, but the green ones are especially sweet this season. mike-I hear ya, my friend. miri-Mmm... I hadn't thought to add cranberries to a salad with them. Thanks for the great idea! bazu-All year long! That would be a dream come true. arfi-I love them with mascarpone too.